Do you feel shut out of some highly acclaimed movies? Or maybe you would like to know what is really being said during the "dirty" parts.? Maybe you just want to better understand how a movie fits together. Subtitles open up the world, but there is an art to them that can not only enhance the movie, but also further confuse the issue. "Sairat" a surprising movie in a language you are probably unaware of--Marathi. There are really two concerns--clarity and understanding and they are intertwined. Silent films had the problem of communicating dialogue and explaining some actions. They chose to use a full screen for a title page with dialogue or description. This could be to cover foreign films to the extent many Americans did not realize which country the film originated from. Many silent films were accompanied by a musical band, but one invention cut that expense by allowing programmed music to play with the film. If it is blurry or with confusing fonts the reader is slowed down. If the letters blend in with the background color it will force more concentration on just reading. Advances in chemistry applications, laser and lately digital have made reading much smoother and less distracting. Bubbles are often used to project thoughts usually for humour. Norwegians and Hungarians advanced the technology. By 1903, "Uncle Tom's Cabin utilized inter titles between film scenes. By 1909 M. N Tropp developed concept of subtitles at bottom of screen. One of the early pioneers, Herman G Weinberg got involved with foreign films brought to the United States by re arranging German symphony music for string quartets. When talking pictures became more common, many foreign films became inaccessible. In a bit of a learning process Herman subtitled over 300 movies. With a subtitled German film the non Germans were upset that they were not understanding a joke as the German speakers were all laughing. 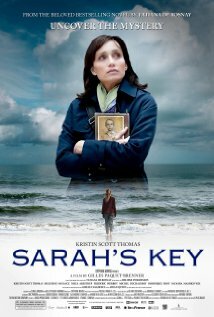 "Sarah's Key" an international classic you can better understand in French and English. To avoid taking away from other factors--cinematography, acting, scenery, costumes, etc. written dialogue needs to be concise, meaning often words are eliminated to get at the meaning. Colloquialisms are tricky, but if not dealt with the viewer is confused. A typo can add to the confusion. Dubbing became popular at one time as it was thought a better way to make words clear. Many movies are still available this way, but many of us find dubbing unnatural. The voice doesn't always match the visual and often comes with an awkward distracting cadence. Woody Allen is a challenge because his movies tend to be wordy. He admired a French subtitleist who managed to captured the essence of his dialogues. Censoring can be disastrous distorting the meaning of the script. Sometimes the subtitleist uses euphemism for swear words. 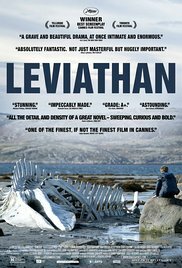 "Leviathan" depicts a Russia you never knew about. In some instances subtitles are not needed. In some films your viewpoint is that of one of the main characters, but sometimes they are confronted with people speaking in a language they don't understand. Often subtitles are used so you can understand an irony in the dialogue, but other times it is better if you are as confused as the protagonist. The film credits are often left alone, but admittedly when non Roman fonts are used such as cyrillic or Asian a film buff will not learn to appreciate a particular artist who contributes to their enjoyment. "Corazon de Leon" filmed twice in Spanish, one of the most popular film languages. See what you have been missing! Americans have been distrustful of Iranians. "A Separation" won an Oscar and in the Farsi language presents a view that shows that the people are not that much different.